The Royal Hospital Chelsea was founded in 1682 by King Charles 2nd as a home for old or wounded soldiers. And today the group of buildings is permanent home for approximately 350 former servicemen. The entrance to the small museum is dedicated to the Duke of Wellington and features items such as George Jones' panorama of the Battle of Waterloo (1820). It also features a contemporary painting of Queen Elizabeth II by Andrew Festing (1998). The large diorama in the centre of the entrance hall depicts the Royal Hospital as it looked in 1742. The museum itself includes a reconstruction of a typical berth, the uniform of a veteran soldier, and many other artefacts. 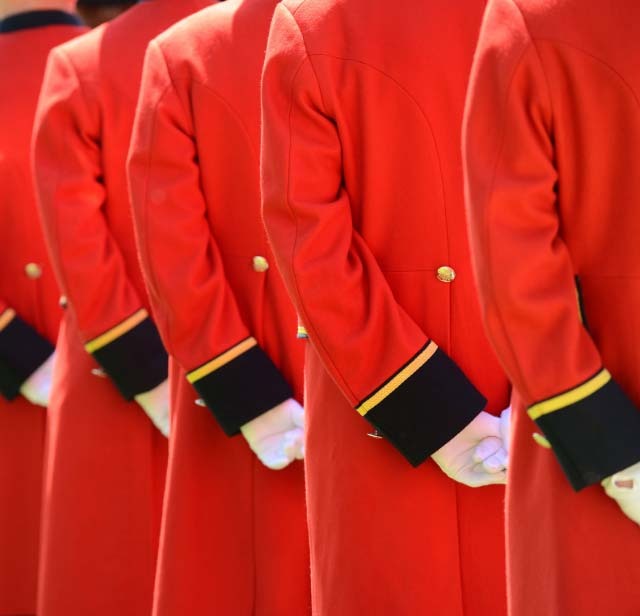 The distinctive uniform of scarlet coats and tricone hats hasn't changed since the 18th century. The first In-Pensioners were admitted in 1692. All information is drawn from or provided by the museums themselves and every effort is made to ensure it is correct. Please remember to double check opening hours with the venue concerned before making a special visit.